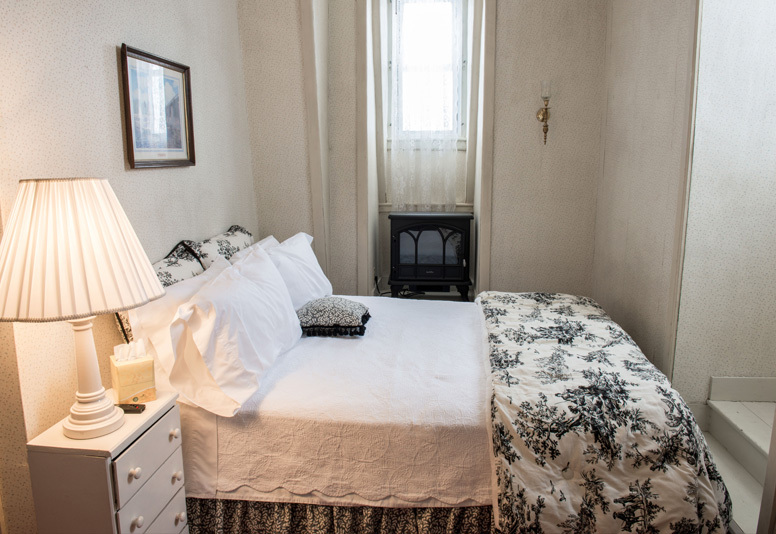 The mansion’s smallest most affordable guest room is on the 3rd floor with a queen bed dressed in a black & cream toile comforter set. 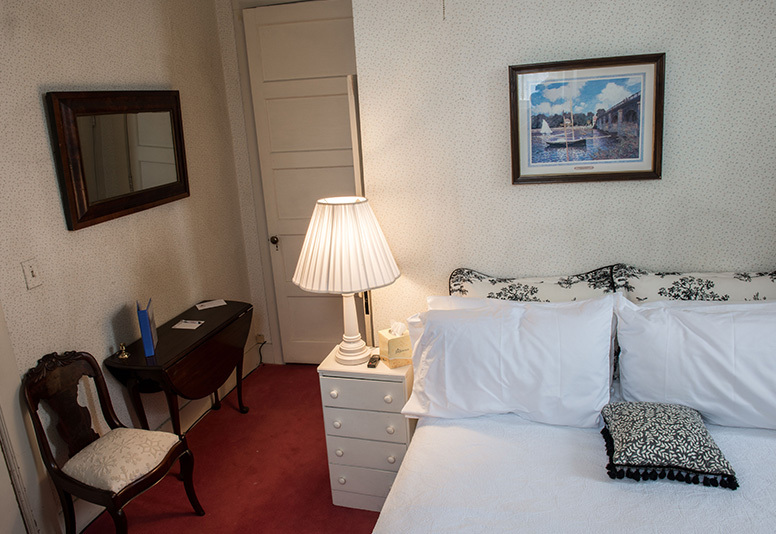 Lamps are on both nightstands, one a petite white shabby chic chest and the other a four drawer small chest. Inside the door to the left is a petite antique Victorian chair with white snowflake upholstery and narrow table with an antique wall mirror hung over it. In addition, there is a shallow closet and shower bathroom. For those colder nights a electric fireplace sits under the north wall window.